The tide has turned in Mainz: after 125 years, the port has relocated down the Rhine to make way for an exceptional city district on Stromkilometer 500: the Zollhafen Mainz. In a joint venture with Stadtwerke Mainz AG, CA Immo is developing one of the most attractive waterside locations for the region, in the heart of the city. 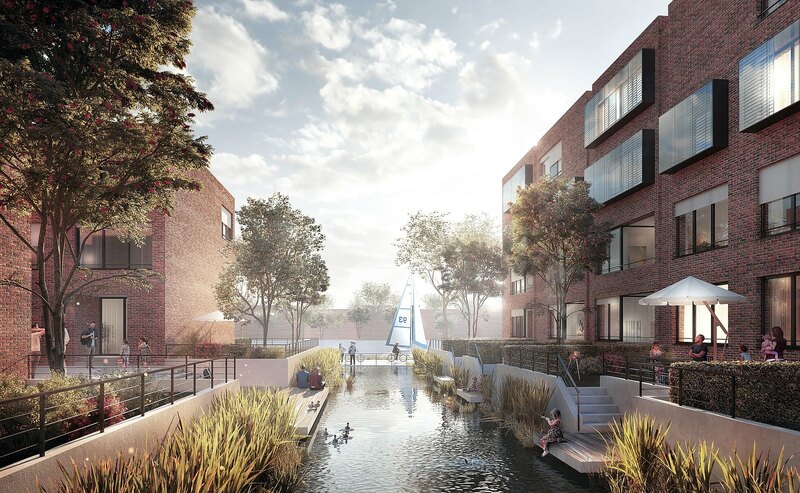 A mixed used quarter for around 2,500 people which will also create space for 4,000 jobs by the water is emerging on a site spanning approximately 22 hectares. The concept also envisages convenience retail outlets as well as social and cultural facilities and places to eat. A high proportion of publicly accessible space will open up much of the district to its citizens. The land use plan was legally approved in December 2014. Realisation of Zollhafen Mainz began in 2011 with the first development phase at the south pier; the project is now progressing northwards along Rheinallee, with initial construction work already under way. 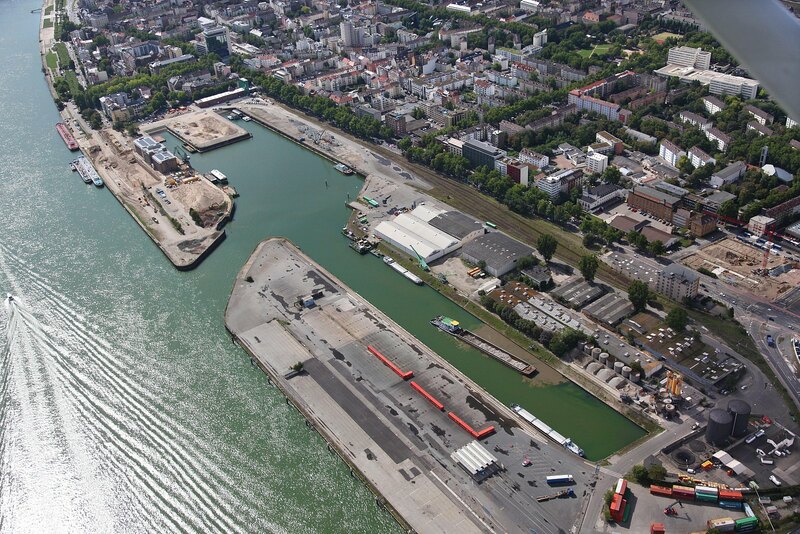 An increasing number of builders and investors are becoming more and more involved in the development of the Zollhafen sites. The first appartments and offices are already occupied. 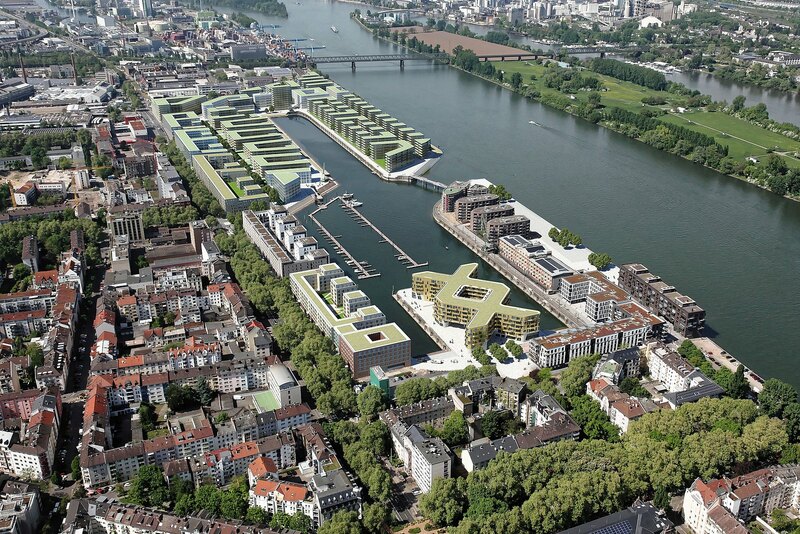 CA Immo is involved not just as an urban developer, but as an actual investor in Zollhafen Mainz. On the Rheinallee III site, CA Immo is constructing a residential and commercial building as a forward sale to Aberdeen Asset Management. Rheinallee III has 180 apartments, a REWE supermarket as well as a nursery catering of children. 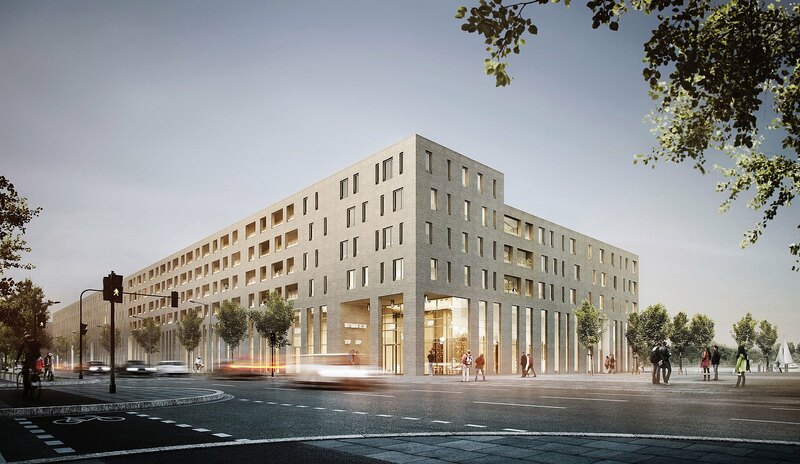 The architecture was sourced through a competition and comes from the offices of Römer Partner Architektur in Cologne. A defining feature of the design, alongside the high quality clinker facade, ist the spacious, partly split-level ground floor. The building has a underground car park with around 250 parking spaces for cars, which partly accessible to the public. CA Immo has sold the building to a fund managed by Aberdeen Asset Management under the terms of a forward sale. In a building prominent location of the northern harbour basin CA Immo is also developing the ZigZag office. Innovative offices with a style unique to Mainz are being built on a large public square right by the harbour basin. The project started with realisation of the block section right by the final station of the new Mainzelbahn tram line. 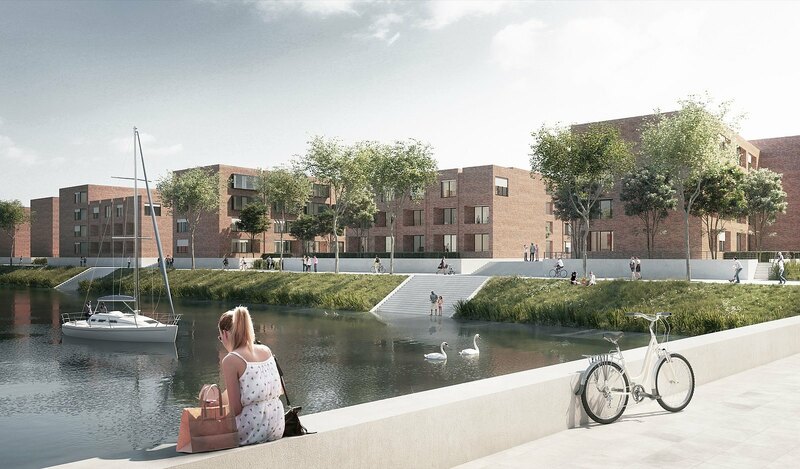 Together with UBM Development Deutschland GmbH, CA Immo is building 150 apartments in the vicinity of the northern harbour basin. Zollhafen Mainz enjoys an excellent and vibrant location, right next to lively Neustadt and just minutes from the city centre. Frankfurt Airport and other destinations in the Rhine-Main region are easily accessible via direct motorway links. The main station of Mainz, transport hub for the region, is also just minutes away by bus, train or car. Do you have any questions, or need more information on the Zollhafen in Mainz? Simply contact us! Central, on the site of the former Mainz container port. The old town and city of Mainz are accessible on foot or by bicycle.